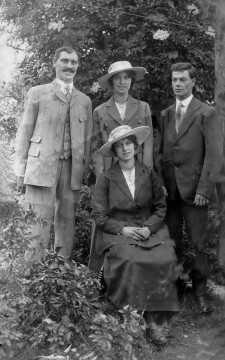 Left to right – George Robert Goddard – Laura Nall nee Goddard – John Henry Goddard and seated is Bertha Fox nee Goddard – Rosa Bites mother. George was my great grandad, his daughter Ellen was my gran! George was my great uncle. John Henry Goddard was my grandfather.